Sea beach or swimming pool, today you choose! Villaggio Spiaggia Spiaggia Lunga overlooks the Bay of Santa Maria di Merino in Vieste, and has 3 swimming pools equipped with umbrellas, deck chairs and sun loungers. We know how important is to change the point of view of the horizon, so we give to you several point of view to choose from. 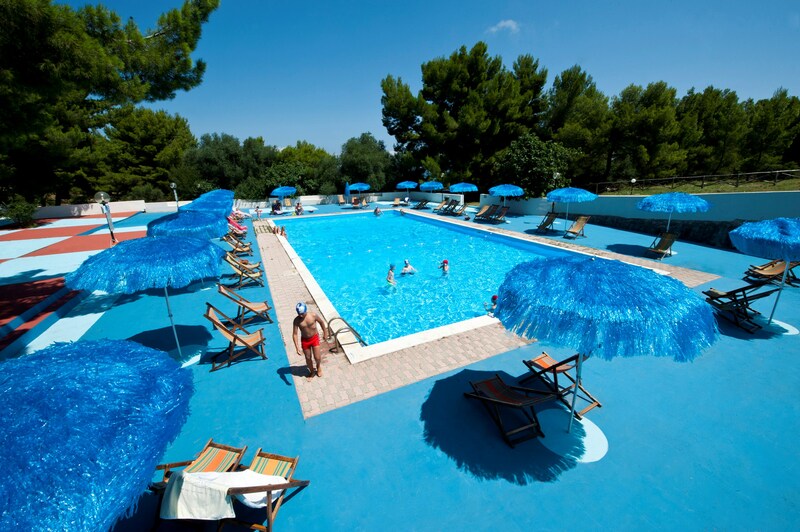 Two of the Villaggio's swimming pools are located in the Hill Area. The first one near the entrance, is open every day from 8 June to 6 September, respects the following hours 10:00 - 13:00 and 15:00 - 19:00. 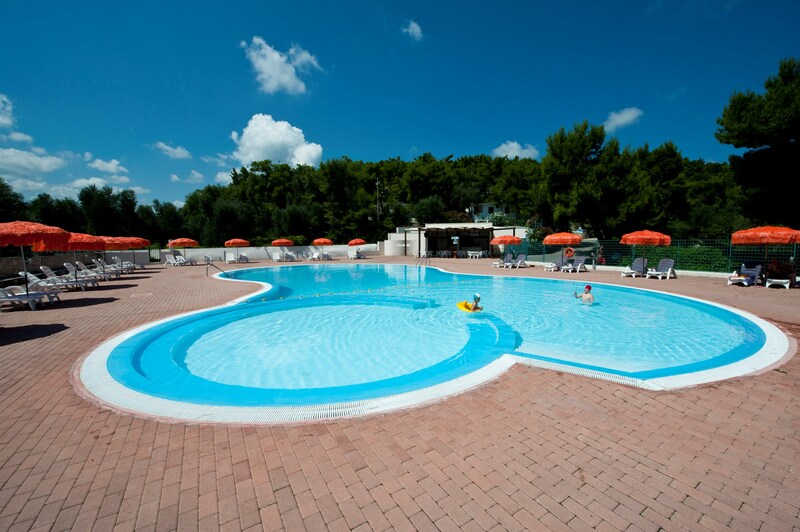 The second swimming pool, instead, is immersed in the green of the Settimo Cielo panoramic park, in the highest part of the Hill and it's open every day, from July 6th to August 23rd, from 10:00 am to 1:00 pm and from 3:00 pm to 7:00 pm. The only one swimming pool located in the Sea Area is reserved for children. 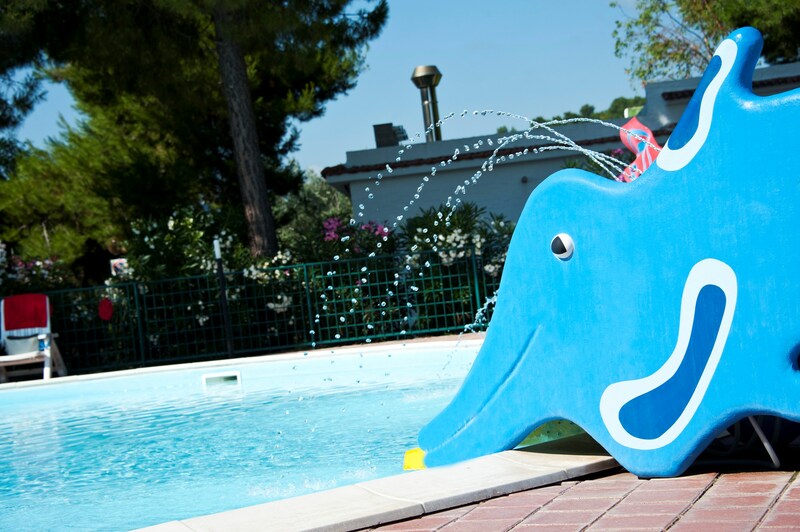 It is a children's swimming pool equipped with slides and games, to entertain our young guests and never bore them! Open every day from 8 June to 6 September, from 10:00 to 13:00 and from 15:00 to 19:00. 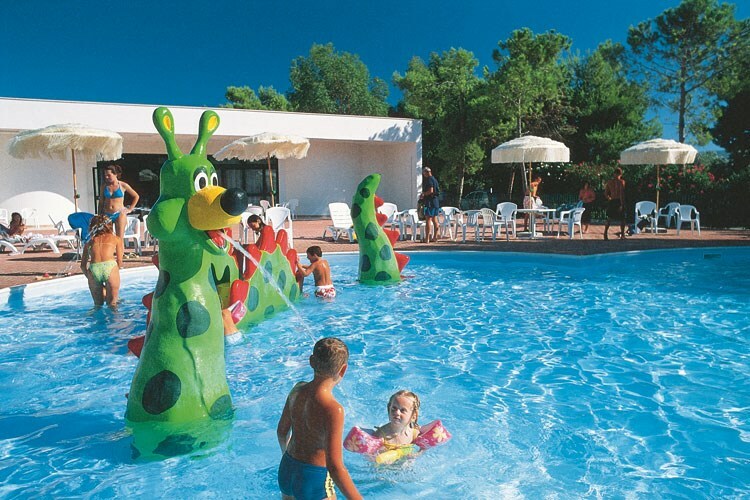 Villaggio Camping Spiaggia Lunga is divided into two large zonas: the Sea Area and the Hill Area, connected by an efficient and free shuttle service that works all day long, until late at night. Give yourself the luxury of choosing. Come and enjoy your holiday on the Gargano!